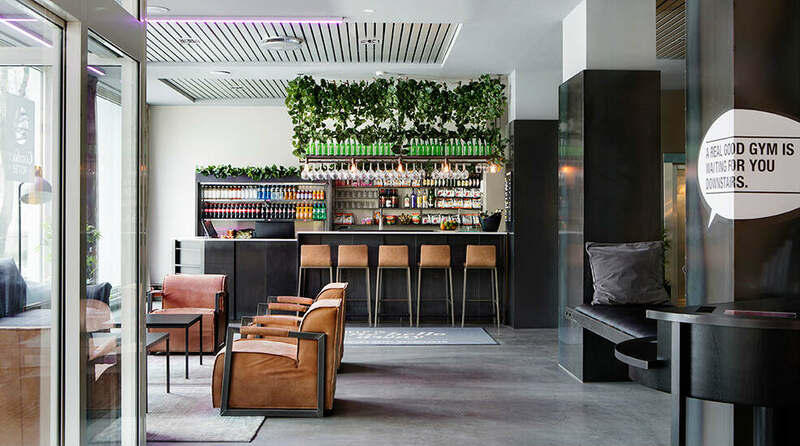 The Comfort Hotel Børsparken is a modern and affordable hotel in central Oslo, just 2 minutes from the central station. You'll be close to everything here! The hotel is also home to the first Crossfit gym in the Nordics. This is a cash-free hotel. Kick-start your day with a healthy and tasty breakfast. We offer loads of yummie alternatives and ecological products. You can also find oatmeal, boiled eggs, scrambled eggs with bacon, fresh fruit and several of green alternatives. In the lobby shop we serve snacks, light meals, drinks and some useful products like shampoo and conditioner. Open 24/7 of course. You'll find a wide range of stuff in our lobby shop, from mineral water, beer, sandwiches, salads, smoothies, yoghurt and crisps to fitness clothing, toothbrushes, condoms, shoe polish and hair care products. And by the way... we've done a bit of thinking on your behalf, so pretty much everything we sell is sensible and healthy. That means easy choices! And this is Comfort – we don't believe in fancy prices. Don't miss Børsparken's brand new crossfit inspired 24-hour gym when you visit us. Across an entire floor, you can exercise with dumbbells as well as with equipment for improving strength and stamina. If you need some extra motivation or advice, Børsparken's own personal trainers are often available. As a guest at Comfort Hotel Børsparken, access to the gym is included and you can exercise whenever and as often as you like - it is open 24/7. There tend to be several spaces available on the streets around the hotel, but please make sure to check the local parking restrictions to avoid a fine. You can also park your car at the Q-Park Bankplassen garage for 200 NOK per day - just make sure to get your ticket stamped by the hotel when you check out! Of course, free Wi-Fi is available throughout the entire hotel. Just choose the network «telenor» and you are in! Easy and great! If you need to print something, guest printers are available in the lobby. You can use your own computer to print, just follow the instructions and get started. At Comfort Hotel Børsparken we also welcome your four-legged friends. For NOK 250 extra per visit they can stay with you at the hotel. Guide dogs are of course welcome at no extra charge. But remember to tell us when you make your reservation, so that we can find a suitable room for you and your dog.